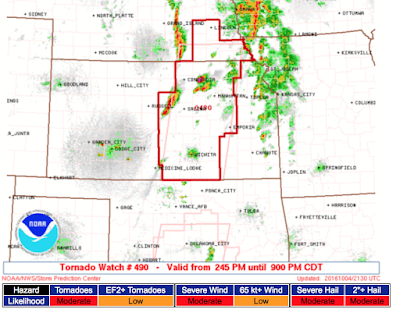 Two tornado watches in effect. In Kansas, golfball-sized hail has already been reported. There is a chance of tornadoes into mid-evening. Nothing is yet occurring in central Oklahoma. However, in Kansas, thunderstorms are developing quickly west southwest of Wichita. I would advice people in the watch areas to keep up on the latest information. 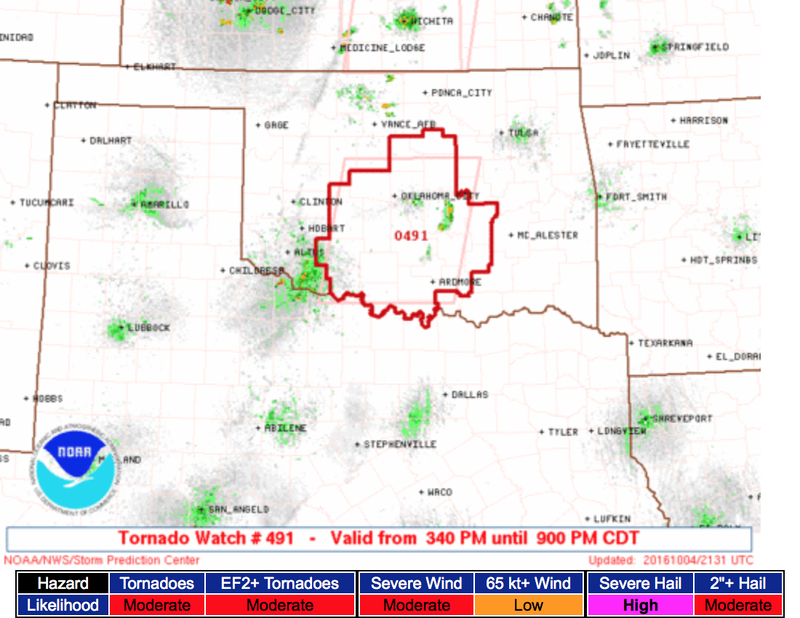 This will be my last blog update on the tornado threat. Follow me on Twitter @usweatherexpert.